After yesterday’s significant growth caused by the decision of the Central Bank of Switzerland, the market is consolidating. The forecast of the price movement is shown on the chart. In the near term, we can expect, at first, the price to reach a new maximum, and then the correction to start. More detailed structure is shown on the H4 chart. We may assume that the fourth wave is being formed inside wave 3. 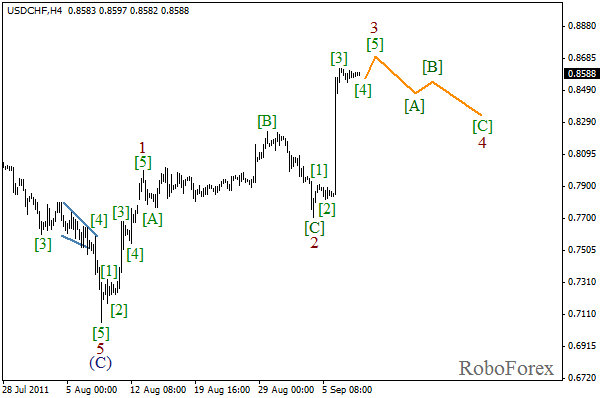 We can expect the end of the local correction and the start of wave  of 3 during the day. 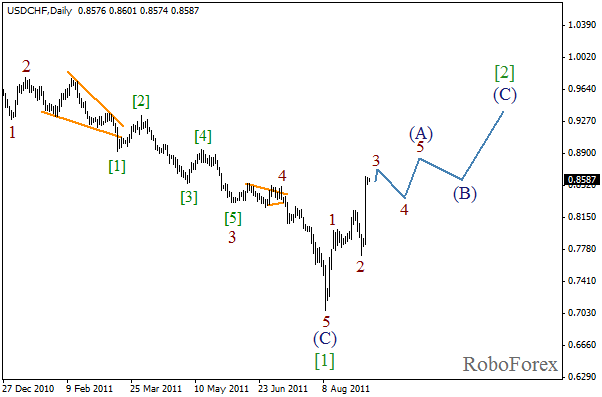 We may suppose that flat pattern in wave  has been completed, as well an impulse in wave (C) on the minor wave level. The forecast of the price movement is shown on the chart. In the near term, we can expect the price to start growing in the third wave. 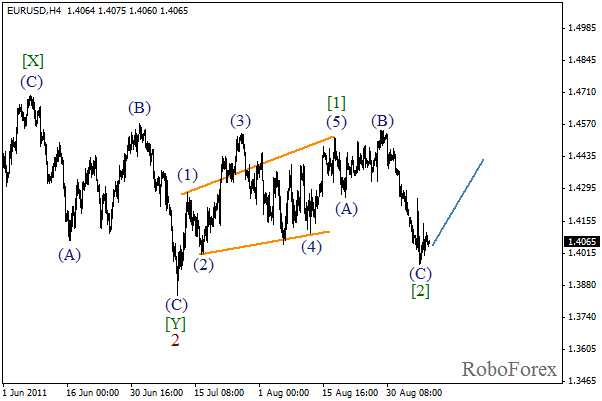 At the H1 chart we can see more detailed structure. It looks like an initial rising impulse has been finished and right now the local correction is taking place. 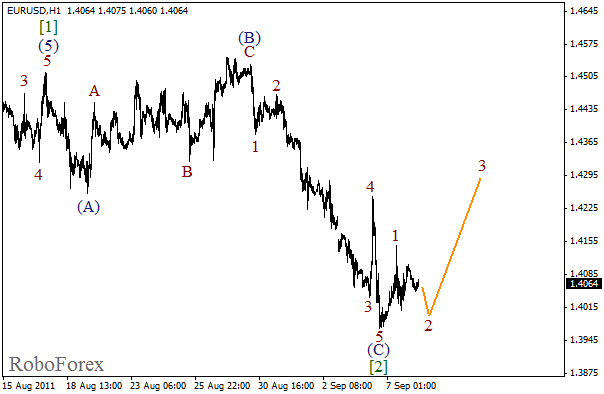 The price may continue forming the second wave during the day, however, after that we expect it to grow.